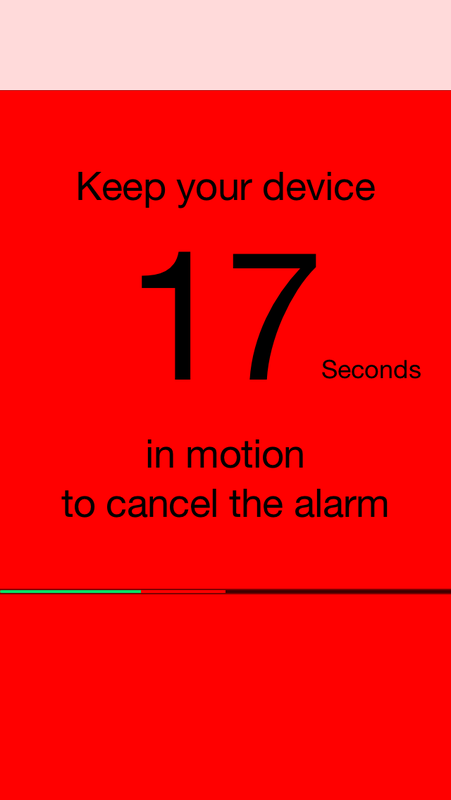 Motion Alarm Clock doesn't shut up unless you moved it around a lot - say 30 seconds. 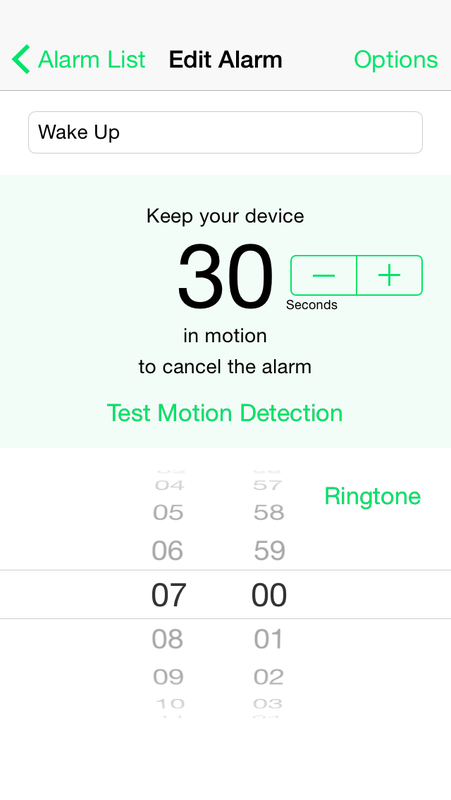 Never worry again about unconsciously canceling your alarm! 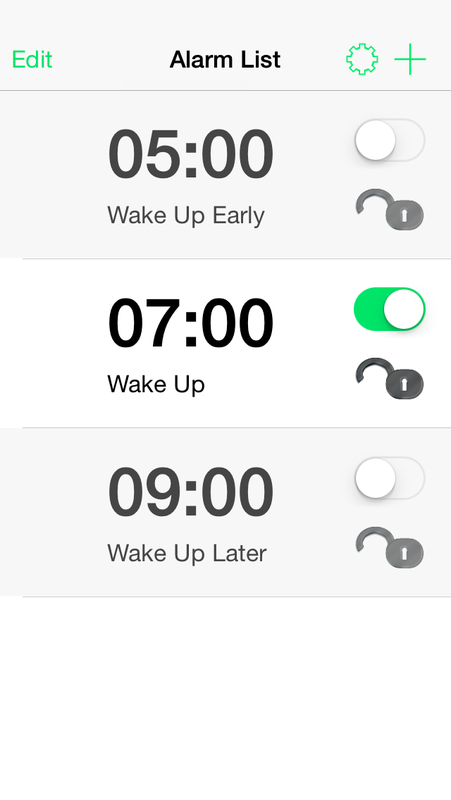 Do you want to make sure to get up on time? 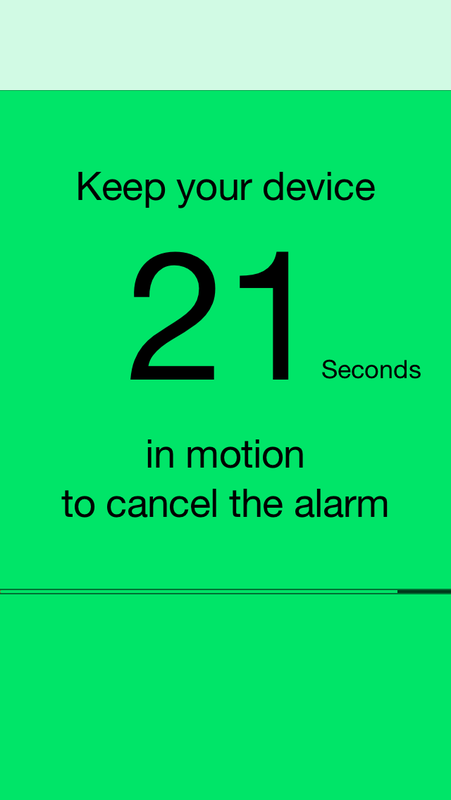 Than you need the Motion Alarm Clock! 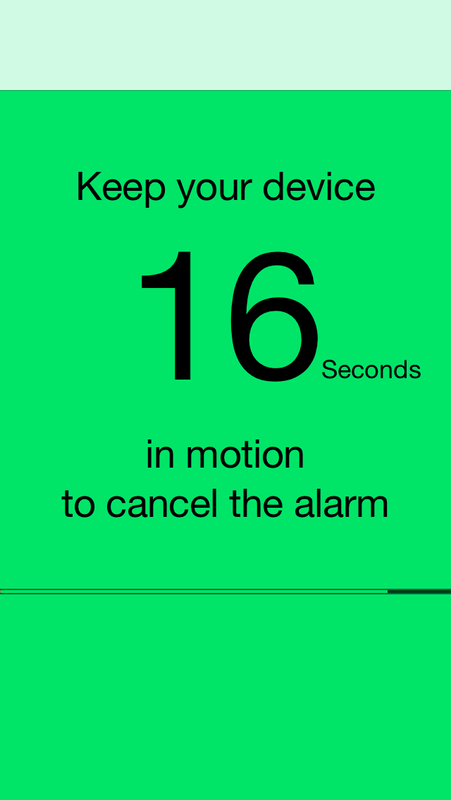 Set how long you need to keep your device in motion. Imagine how your life would change for the better if instead of oversleeping and feeling regret and frustration the rest of the day, YOU were in control?